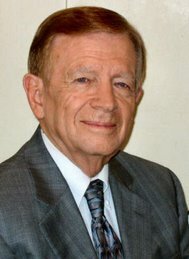 Dear Friends, It is with heavy, heavy heart that I write to let you know that Dr. Robert Schofield, long-time family friend and my Shaklee business partner, passed away last Sunday evening, December 2, 2007. He went into the hospital the previous Monday for tests after experiencing shortness of breath and a few other symptoms. On Saturday night I brought him one of his favorite Cinch protein drinks and we visited a couple of hours. He looked quite good and said he was figuring how to get well. But Sunday morning I received a call from his wife of 61 years, Norma, telling me the hospital called to say he probably would not last the day. He passed away at 4:50 p.m.
Dr. Schofield grew to love the Shaklee philosophy, Roger Barnett and the company's wonderful products. He was planning to be the next Master who is also an MD. Dr. Schofield was the best business partner anyone could have! I will miss him and Shaklee people everywhere will miss him. As a continuing tribute to the Doctor and in an effort to be most helpful to others, I will be publishing some of his teachings and quotes on this site. They will include such titles as Peace and Harmony at Home and Enjoy Every Moment. To my great mentor, business partner and friend, I say a hearty and loving "Good-bye." May I live the rest of my life worthy of all that you have taught me!